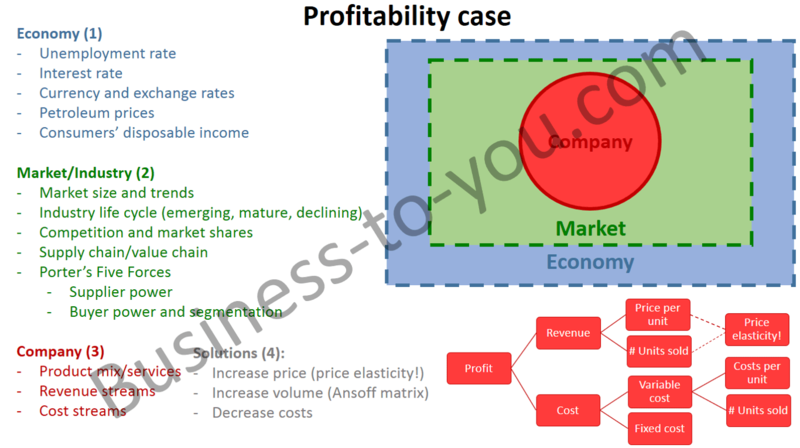 Profitability cases often start with problem statements such as: ‘Company X has seen its profits decline over the past few years’ or ‘Even though Company X’s sales are up, profits are down’. With these kind of problems you want to make sure that you know what the major source of the problem is before getting to possible solutions. A lot of people would immediately start asking about revenue streams and costs but it is important here to look at external factors first before looking internally. External factors could be found on a macro-economic scale and on an industry-wide level. You first want to make sure that nothing strange is happening in the economy. Perhaps the unemployment rate in Company X’s country is increasing, leading to less disposable income for the consumers in that specific country. Perhaps the value of the country’s currency has been dropping because of some political factors. Or perhaps the interest rates are fluctuating. All of these macro-economic factors may influence the buying habits of important customer groups. In addition, it might also affect a company’s ability to borrow money from banks or other financial institutions. In the end this may cause the profitability problem. 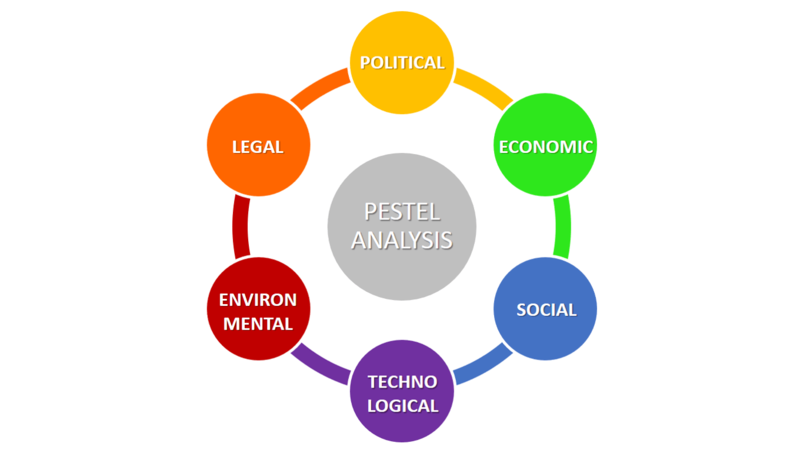 A good framework to map out macro-environmental factors is the PESTEL analysis (looking at Political, Economic, Social, Technological, Environmental and Legal factors). This step however shouldn’t take too much of your time. Just make sure that you are aware of what might be going on in the economy when starting off with a profitability case interview. Secondly, you want to make sure to find out whether the profitability problem is an industry-wide or a company-specific problem. In the former case, you could look at some industry trends such as the market size and its growth pattern over time. In what lifecycle stage is the industry currently: emerging, mature, declining? Perhaps the product has become obsolete and demand is dropping. Next you want to look at competition. How does the competitive landscape look like and what are each player’s market share? Perhaps a new competitor has entered the arena and is now stealing customers from Company X. Another element you want to look at is the supply chain. Are there some changes on the supplier side leading to increased cost of goods sold (COGS)? Are the distribution channels not working properly? Or has your buyers’ bargaining power changed over time? 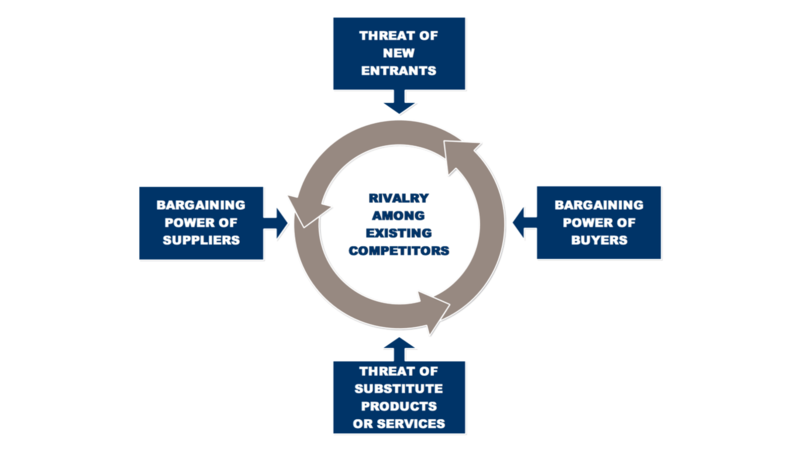 A great framework to analyze the industry in terms of competition and supplier/buyer power is Porter’s Five Forces model. Now you know what is going on in the external environment, you could look more closely inside the company. You could start off by looking at the product mix of Company X. What product offering does it have and how is each product line doing individually? 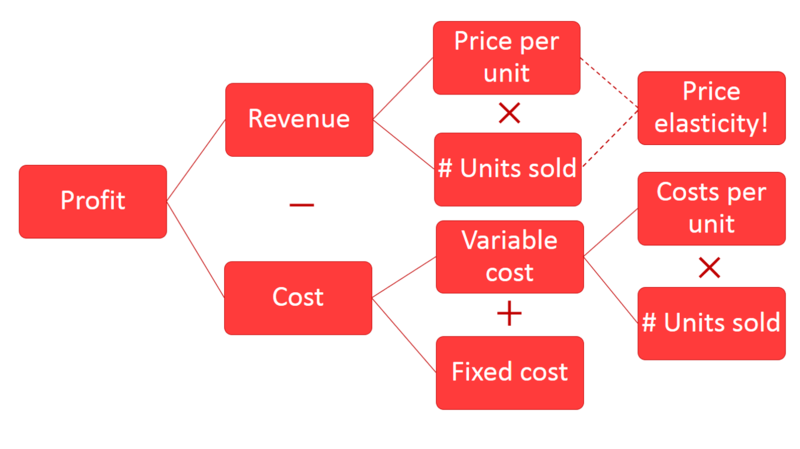 This is where the classic profitability framework (profit = revenues − costs) can be applied. Is the problem situated at the revenue side, the cost side or both? Try to break down revenues and costs into smaller pieces. You know that revenue is a function of volume × price. If revenues have dropped it might be the case that volume (sales) has decreased or prices have changed. Take the price elasticity into account as well! A higher price does not always lead to higher revenues, since less people might be able to afford the product. Price thus influences volume to some extent. Similarly you might want to break down total costs into fixed cost and variable cost. Have they changed over time and how do they compare to those of Company X’s competitors? Ultimately you will find the major source of the problem by asking these kind of questions. Now you have identified where the problem is coming from, the next step is to come up with creative and pragmatic solutions to resolve the situation. The first option you might want to try is to alter the price. As mentioned before, due to price elasticity, Company X might need to change its price in order to find the optimal revenue outcome. In some cases there might be room to increase the price, whereas in other cases you might want to decrease it in order to boost sales. Another option is to enhance the revenue streams by targeting new markets or by launching new products. 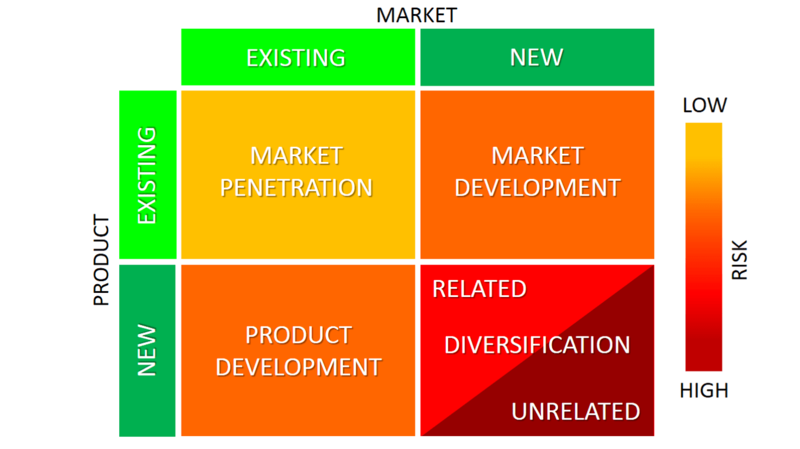 A great framework to analyze suitable growth options is the Ansoff Matrix. Finally, you could take a closer look at the costs and see how they could be reduced. Possible solutions are to combine production facilities, invest in more efficient technologies, renegotiate contracts with suppliers, outsource expensive activities abroad or reduce inventories. Even though profitability cases allow for a relatively straight-forward structure to follow, it also requires a lot of creative out-of-the-box thinking from the interviewee. Don’t just apply the profitability framework blindly, but really try to adapt the framework depending on the kind of business you are focusing on. When you are working on a restaurant case, you cannot just use the words volume or sales. Rather, you should talk about the amount of meals per day or the amount of occupied tables. By multiplying these numbers with the average price of a meal or the average money spend per table, you get a good idea of the restaurant’s daily revenue. This way you will show the interviewer that you can look beyond the framework and get a head start on your fellow applicants. Good luck!